Some real talk for a second: As the manager of a small but growing oral history project, it's often hard to know how to measure the successes and failures of a project like Matanzas Voices—the "value" of stories can be hard to quantify. Which is why we were humbled and grateful to start our month off with some pretty cool news: Matanzas Voices is featured in an essay in Southern Cultures, the University of North Carolina's quarterly about the histories and cultures of the American South. Our essay sits alongside some important work being done on foodways, climate change, and coastal resilience, and we appreciate the opportunity to elevate our local story into the wider, more regional context. And speaking of coastal resilience: In our Voices Spotlight this month is Fred Green, a man who—pardon the generalization—remembers "how things used to be." Now in his nineties, Fred grew up in Crescent Beach before there was electricity, at a time when residents relied on cisterns for potable water, and the mail service came on a boat. Fred's memories are valuable insights into the evolution of St. Johns County, and we're happy to share his story with you. Lastly, we are ramping up for our sunset screening event, which is scheduled for Saturday, May 26th at Genung's Fish Camp. We'll be debuting some of our newest oral histories! We look forward to seeing you there. 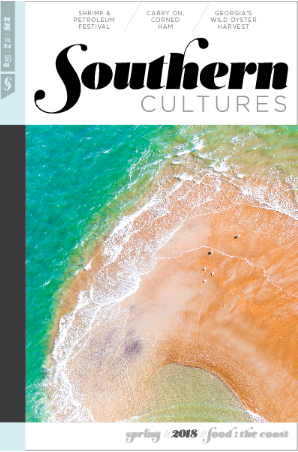 We're pleased to announce that Matanzas Voices is featured in the newest issue of Southern Cultures, the University of North Carolina's quarterly about the histories and cultures of the American South. It isn’t often that we get to establish the legacy of the landscapes around us, but that’s precisely the opportunity afforded to Fred Green in the 1960s as a county commissioner for St. Johns County. Green helped plat and name the roadways in and around Crescent Beach, officially tying the stories of friends and family to the streets of the area. When Green grew up in Crescent Beach, "we didn't have electricity," he says. "And the mail service was by boat." Read on to hear more from one of our newest Voices additions. Join us for a sunset screening! 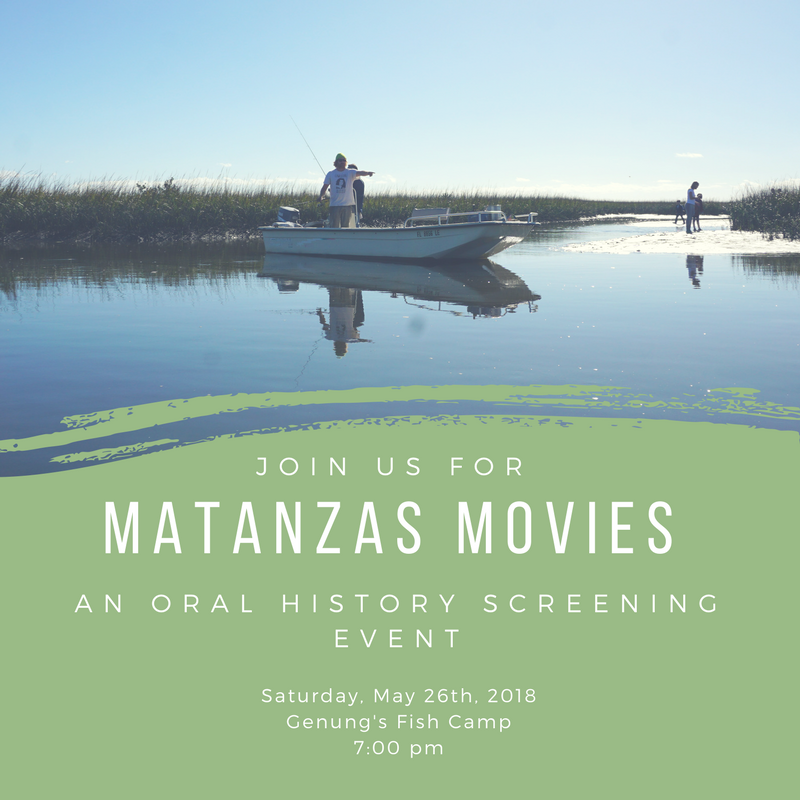 Matanzas Voices is hosting a sunset screening of our newest oral histories atGenung's Fish Camp on Saturday, May 26th! This event is free and open to the public. Gather for appetizers and mingling at 7pm. Films begin at 8pm. Beer will be available for purchase on site, but bring your own lawn chairs. We're looking forward to seeing you there!